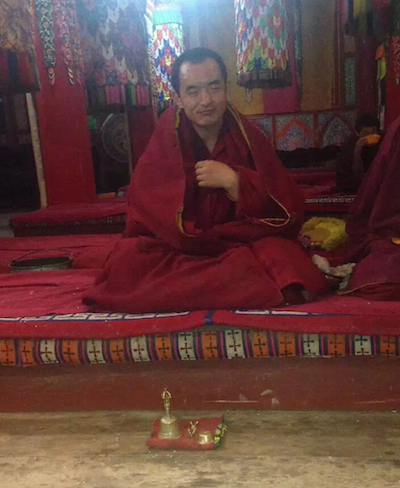 (TibetanReview.net, Jun09, 2016) – A Tibetan Buddhist monk had disappeared after he was taken away by Chinese police for taking out a lone street protest, displaying a portrait of Tibet’s exiled spiritual leader, the Dalai Lama, in Ngaba (Chinese: Aba) County of Sichuan Province on Jun 7, according to several online media reports. 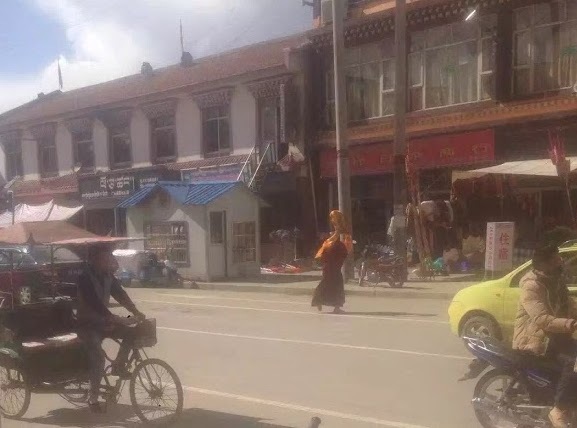 The monk, named as Lobsang Tsering and aged in his 20s, was taken away shortly after he launched his protest at about 4:00 pm on a street known locally as Heroes’ Road in the main town of Ngaba County. Many people were reported to have witnessed the incident. The monk, belonging to the Kalachakra College, one of the four main colleges of the local Kirti Monastery, was reported to have carried a photo of the Dalai Lama decked with a ceremonial scarf raised high over his head while praying out loudly for long life for the Dalai Lama. “May His Holiness the Dalai Lama live for 10,000 years!” and “Freedom for Tibet,” the exile Tibetan administration’s Tibet.net Jun 7 quoted the monk as having shouted. The monk was severely beaten by police shortly afterwards as they stopped his protest and took him away. Afterwards, the authorities were reported to have made additional deployment of police on the roads as well as at all the intersections of Ngaba Town. Official belonging to the Kirti Monastery’s government-appointed management committee were later reported to have been seen at the protest site. The monk was said to have been born at Ngaba’s Lhade Gabma area, with his father’s name being Sherab and mother’s Yukho while the family name is Ngoray. Intolerance of freedom to worship, freedom to speak one’s truth, are all signs of fear and ignorance. May all beings live in happiness and Equanamity. May all beings live with love for near and far. The final line ‘near and far’. . .
Means those we live easily, and those who are more of a challenge to love. I love you. There is good in your core of Buddha Nature that as karma will ripen to great awareness. I am sorry that fear makes up so much of your conscience. And I vow to hold you in my prayers. Please forgive me if I have ever judged China and it ‘s treatment of Tibetans and said it was evil. It is just different. You are doing the best you know at this point in your evolution. even if by omission or other means I have been 1% responsible for creating this injustice.